Earlier in May, Razer publicised its partnership with Singtel to push e-payments, telecommunications services, and gaming-related services network to Southeast Asia. 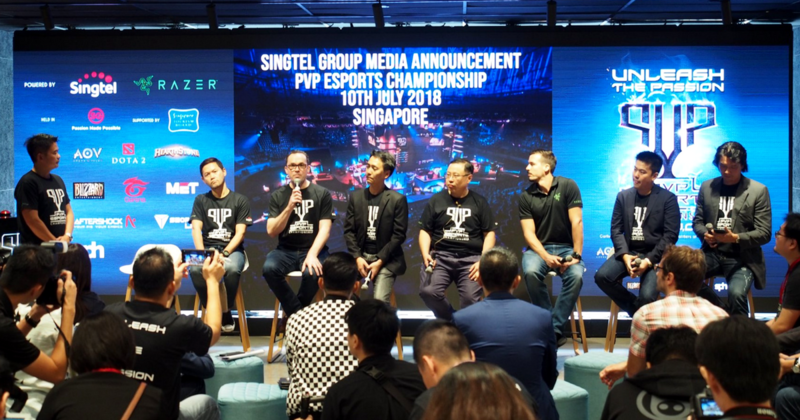 The Temasek-backed telco announced on Tuesday (10 July) the launch of the PVP eSports Championship in Singapore, described as a “multi-title and regional league”, in conjunction with the US-based gaming hardware maker. PVP eSports Championship will take place in Singapore at Suntec Singapore Convention & Exhibition Centre, from 5 to 7 October this year, organised by e-sports event organiser MET. The inaugural competition will feature popular mobile MOBA (Multiplayer Online Battle Arena) game Arena of Valor (AOV), PC game Dota 2, and Hearthstone, Blizzard’s online collectible card game. According to this, the Singtel Group will host local qualifiers in Australia, India, Indonesia, Singapore, Thailand, and the Philippines, and winning teams from each country will battle invited professional teams from North America, Europe, and China at the PVP eSports Championship for the prize pool of US$300,000 (~S$408,540). Associate Director of Product Marketing at Razer, Hilmar Hahn, shared that they’ll be sponsoring gears for the tournament as well as prizes worth up to S$100,000. Singtel is on the lookout to sponsor a homegrown Singapore team through the tournament. Partners for the championship include Blizzard, Garena, Mineski Group, Secretlab, and Aftershock PC. Other partners they’ve named are Optus, Airtel, AIS, Globe, and Telkomsel, who will support the growth of Singtel’s gaming and digital content business in Asia Pacific. League competitions will be aired on its on-demand streaming service HOOQ, its TV platforms, and through content partners. Arthur Lang, CEO of Singtel’s International Group, told Marketing Interactive they are also reaching out to the e-sports community via mini tournaments, such as this weekend’s FIFA competition at JCube. He remarked that “e-sports is becoming more mainstream” that is set to be part of the Asian Games 2018 in Jakarta and is being considered as an official Olympic sport in the 2024 Olympics in Paris. “With e-sports, we can generate new forms of content for our subscribers. We have content channels such as TV and OTT to distribute the content. This is something we want to continue to engage our customers with,” he added.